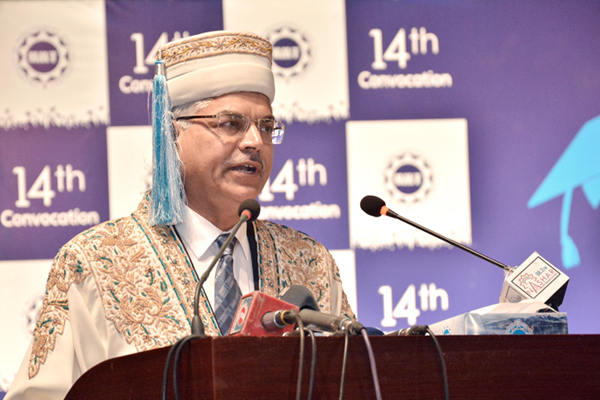 Addressing the 14th UMT Convocation, Dr Muhammad Aslam, Rector UMT, said that this is a special day for the graduates and their parents. He wished a successful professional life and bright future to the students who are graduating today. Dr Aslam added that UMT has a highly qualified faculty. The quality of education is further strengthened by accreditations from PEC, NBEAC, NCEAC, PATCP, NACTE and SAQS. 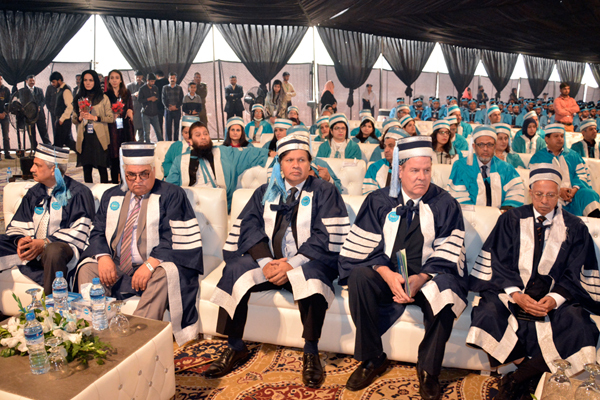 Elaborating the progress made by the University over the past year, Dr Aslam said that UMT places special importance to research by its faculty members and students. UMT is bringing out 12 journals. In 2016, 283 research papers authored by UMT faculty and students were published in national and international journals or conference proceedings. This year, this number is expected to cross 400. The Rector informed the audience that in 2017, UMT has so far organized 10 international conferences with participation from the USA, UK, EU, Niger, Australia, Cambodia, etc. 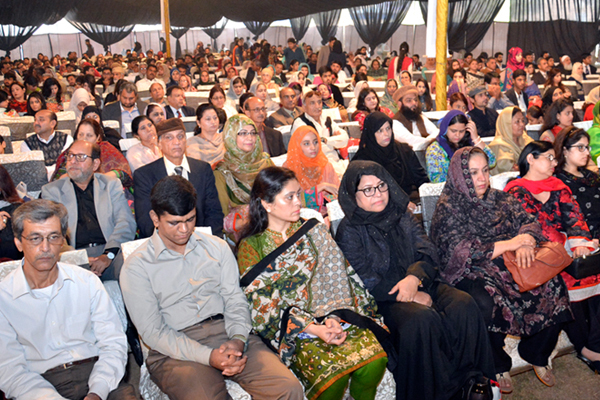 UMT, the Rector added, is a general university with a great diversity of programs. 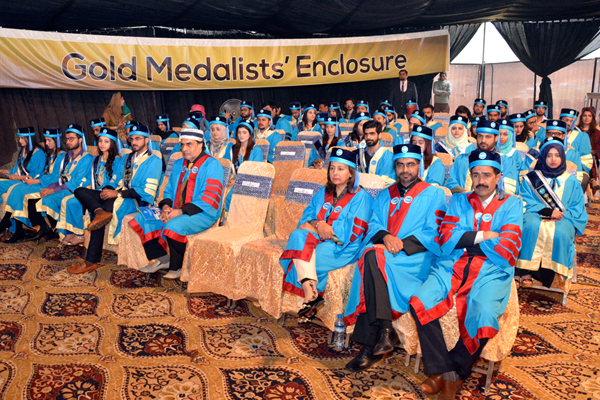 A total of 1500 graduates are being awarded degrees in the 14th Convocation while 68 silver and gold medals and awards of excellence are being presented to the high achievers. Dr Aslam also expressed his gratitude to the philanthropists who have established the special medals for academic performance. The Rector concluded by advising the graduates to earn respect not on the strength of their degrees but on the basis of their hard work, excellent professional performance and tolerance towards their fellow workers.